The relaunch of Borders.com marks the end of the book retailer’s relationship with Amazon, which had been managing Borders’ online sales for the last seven years, paying the company a commission on sales. The new US version of the site is currently in beta, while the UK version will be updated within the next week. Borders has kept the navigation simple, and users have the option of navigating through four main categories from the top bar, using the search function at the top of the page, or browsing via the ‘magic shelf’. The category pages are useful too. For books, users can choose from new releases, bestsellers etc, or browse according to book type. Users can narrow their searches by category, price, format, and sort these results according to price, publication date, A to Z, and so on. The amount of books available in each category is also displayed, which is useful when searching. The filtering options aren’t perfect though, and in would be useful if there were more sub-categories. For instance, if you select history, then the sub category military history, you are still left with around 20,000 books to look through without any other useful way to narrow the search. The site search worked well for the examples I tried, though it didn’t perform so well with misspelled searches or for multiple authors with the same surname. 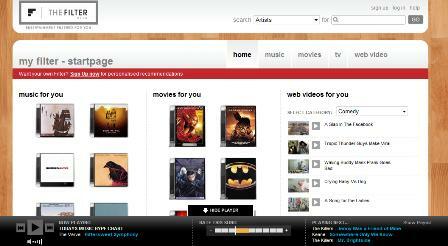 This is a Flash tool that allows you to browse up and down through a limited selection of books, music and dvds by looking at the covers. The ability to edit your profile on the site makes the magic shelf recommendations more effective, but I’m not sure this is the best way to display books online. I discovered this section almost by accident, having seen ‘search for used copies’ when viewing another book. This marketplace allows users to search for used copies of books, as well as rare and out of print titles. All good, but why doesn’t Borders advertise it? There are no links to it at all from the homepage, which is baffling. The only way I have found to access this section is by links on product pages, but these only appear on certain, mostly older, titles. The product pages are a mixed bag. There is some useful information on the books listed, as well as essentials like user reviews, but delivery costs are not displayed, nor is there a link to other delivery information, so users have to add the item to their basket to find this out. The shopping cart is clear enough, and does at least display the delivery charges for the items you have selected, though there are a couple of problems. While five other books are displayed under the heading ‘more great ideas’, the shopping cart doesn’t do a great job of cross-selling at this stage. This selection bears no obvious relation to the books I have already chosen and, as just a small picture of the covers is displayed, I have to click and leave the basket to get any details on these titles. In addition, customers looking for information on shipping time will have to wait until they have completed the order, which is simply not good enough. If Amazon and most other e-commerce sites can do this, why not Borders? The checkout process takes account of some best practice guidelines, it has been kept relatively short, with just four steps, a visible progress indicator has been provided, and customers need not register before they checkout. What Borders hasn’t done though, is to enclose the checkout process by removing links to other parts of the site, to minimise abandonments. The main navigation bar and search box are still on display, as are the links at the bottom of the page. Also, Borders hasn’t provided a clear contact number for anyone with queries about their order. It is hidden away behind a customer care link at the foot of the page, and even after that it takes some finding. This is a long overdue return to e-commerce for Borders, and in general the site is easy to use and navigate around, and there are a number of useful tools on the site, like the guest author reading lists and video content. However, there are a number of improvements which could be made to improve the ability to browse for books, while there are some crucial omissions in the shopping basket and checkout process. Surprisingly, having had Amazon in charge of its online sales for the last seven years, it has failed to implement some useful features from the most successful online book retailer. The recommendations and cross-selling on the site wasn’t up to much when I tested it, while key information on delivery charges and shipping times is hard to find. Despite the ‘Magic Shelf’ function, Borders’ new site doesn’t do much to actually help users choose books. This is fine if you know what you are looking for, but not if you simply want to browse for something that may interest you. Data portability – a red herring? If you are to believe data portability proponents, one of the biggest challenges facing the internet today is the difficulty users have in sharing their data across multiple services. The Filter, Peter Gabriel’s new online music, movies and video recommendation service launched this week. As with Last.fm, it aims to provide users with recommendations based on their preferences and listening habits, but is it as good?